The mantra behind the business is the same as at Holloway. 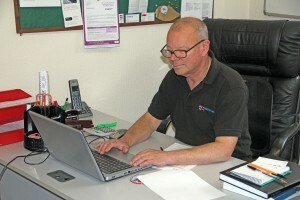 ‘We want people to feel at home and comfortable when they visit,’ said Adrian. ‘There are a lot of businesses that feel they have to get a sale the first time they meet a potential customer or they will never get a sale. That’s their mentality. I believe the days of being pressured into a sale are on the way out and people are more likely to buy if they feel happy rather than under pressure.’ Adrian prefers to build a trust based relationship in which he knows what a customer is looking for and the customer knows that what he or she is offered will meet their needs. Pretty much the first thing they ask you when you arrive is whether you want tea or coffee. 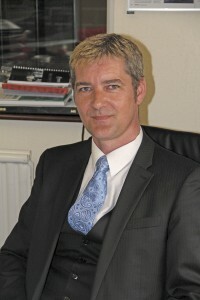 The offices are smart and welcoming, and though Adrian often wears a suit the atmosphere is relaxed. On my latest visit we were sat outside in the sun around a picnic table. The one member of the team I didn’t see when I was there was Jan Wallis who looks after the books. Another former member of the Holloway team, she was away in Normandy helping veterans of the D-Day landings at the 70th anniversary commemorations. 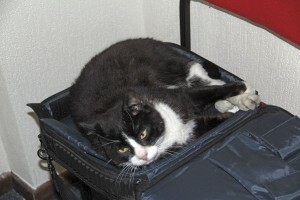 Adrian says that selling minicoaches is quite a specialised business. ‘Buyers tend to know what it is they are looking for. We get a lot of requests for a bit more luggage space than on a standard minibus,’ he said. ‘They want to be able to carry luggage, whether in a boot or, on smaller vehicles, towing a trailer.’ If the latter is the need, Gerry and Adrian will arrange for a tow bar to be fitted. He says that, ‘if people have a choice, they will opt for the Mercedes over the Iveco, purely because of the prestige of the badge. The price difference isn’t enough to swing it to the Daily now. I don’t actually think the Mercedes is that much better a product, although the adaptive brake sensors are a superb feature that should be on every passenger carrying vehicle.’ Adrian thinks TPMS for tyres should also be mandatory. Current stock levels are lower than they normally would be, with only three vehicles on the premises when I called, though others are expected shortly and further vehicles are on offer through the website. On site when I called were a 2009 Iveco Daily 45C15 with 146hp three-litre engine and six-speed manual gearbox, factory fitted power door and 16 passenger seats. 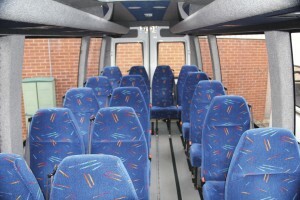 It had been converted by Excel Conversions and is priced at £17,995. 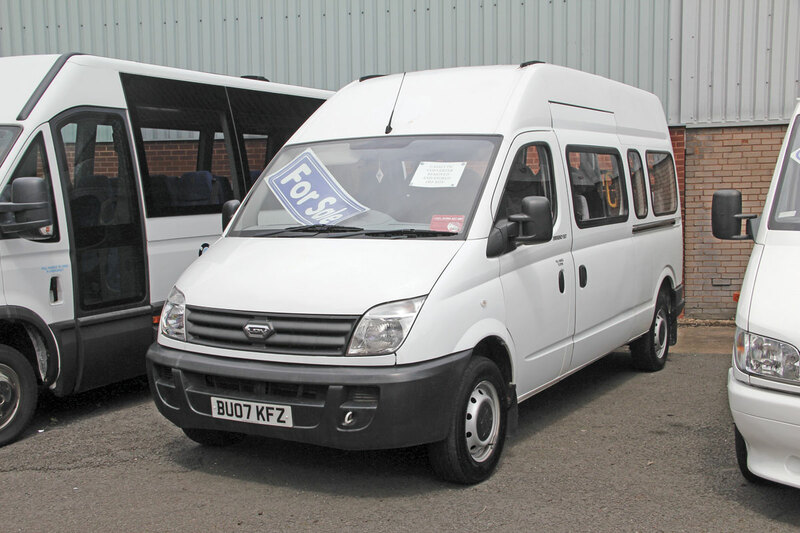 Alongside it was a 2007 LDV Maxus with 16+1 seats. A factory conversion, it had been taken in against a Daily and was offered at £5,995. 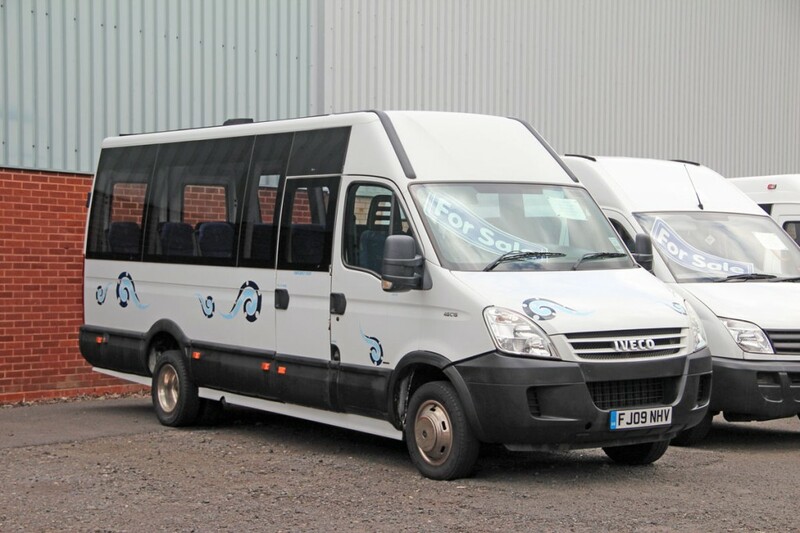 Also present though it had been sold was a 2006 Sprinter with a Tawe conversion featuring 16 seats, a large boot, drop down monitors, DVD system and blown air, that had realised £16,995. 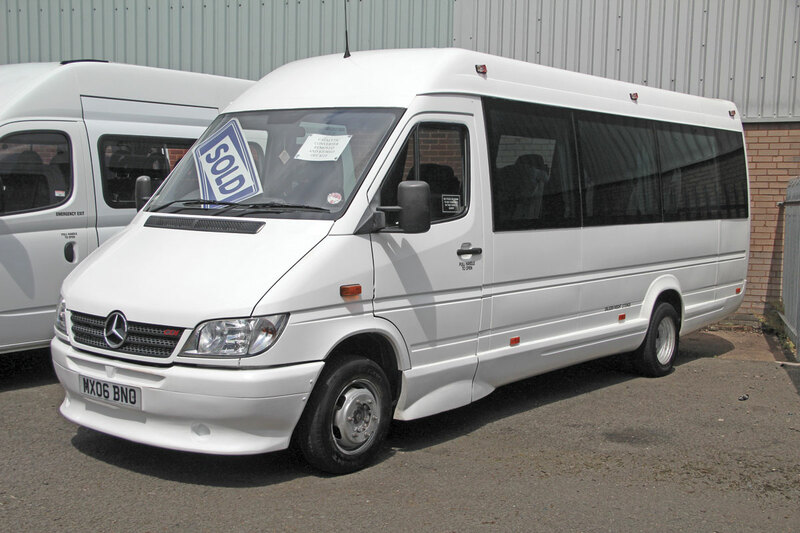 Shortly to be available will be a new 16 passenger conversion of a 2009 Sprinter 311. 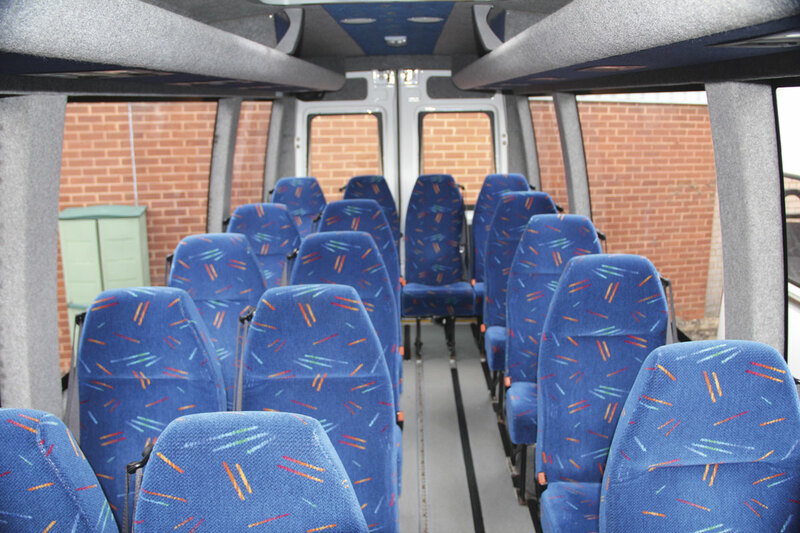 For £23,995 this will offer: Prime M2 standard three-point belted seats trimmed in red moquette, the rear row of which will be mounted on tracking; luggage racks with blown air; reading lights; and show curtains. 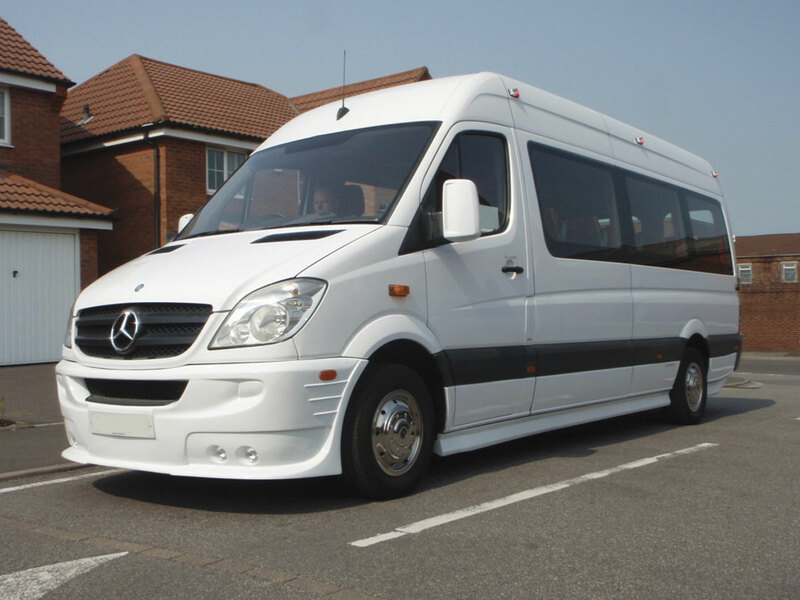 The conversion involves re-plating the vehicles at 3.85 tonnes, taking the original side door off and replacing it with Mercedes-Benz supplied panels inside and out, insulating with fire retardant soundproof matting, fitting bonded windows and trimming the floor in hard wearing easy to clean vinyl. Adding a tow bar would add £240 to the price. On average, UK Minicoaches has sold around 60 vehicles annually, roughly five a month. The highest number of stock vehicles that has ever been held was 16, but these days the numbers are lower and to match the requirement the size of the yard rented has been reduced with agreement of the landlord, helping to keep outgoings manageable. The biggest problem the company faces is in obtaining sufficient stock to meet the demand. Adrian explained the problem was that the downturn in 2008-2009 had meant that fewer new minicoaches were registered, and because of this there were less than previously available for resale. A side effect of their relative rarity is that they are commanding prices higher than they otherwise would. ‘The cost of a new Iveco went up considerably in a short period of time, so there is now less incentive to go for the Iveco than there was. Secondhand, the Sprinter is maintaining the previous price differential, which means the Daily doesn’t hold its value as well as it did. The Daily is still a lot of bus for the money though. There’s a lot of space in it, plenty of legroom, a good luggage capacity, great headroom and the width is enough for 2+1 with a generous aisle,’ said Adrian. Although the emphasis is on used, new vehicles have also been sourced for people, though this has tended to be in limited numbers because it has involved lead times of up to six months. A new arrangement with EVM that began in September last year has helped this situation as well as assisting in the generation of additional used stock to sell. Though the last four years have been difficult at times, Adrian believes things are getting better. ‘I don’t think we’re out of the woods yet but the signs are that the economy in general is improving. When it does, the Government will start spending in a limited way, it will roll through to local councils and operators will benefit, but it will be a slow process,’ said Adrian. He plans to increase stock levels and repeated his call for anyone with surplus vehicles to contact him.